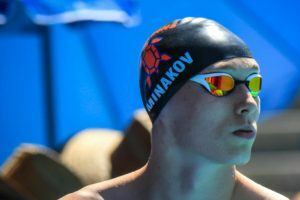 The racing continued in Melbourne tonight, with both domestic and foreign talent taking to the pool on day 2 of the 2019 Vic Open Championships. 22-year-old Olympic champion Mack Horton took on two events this evening, first winning the men’s 800m free with ease in a time of 8:05.96. That held off NTC’s Silas Harris, who settled for runner-up in 8:08.19, while visiting Malaysian national record holder Welson Sim rounded out the top 3 in 8:09.77. 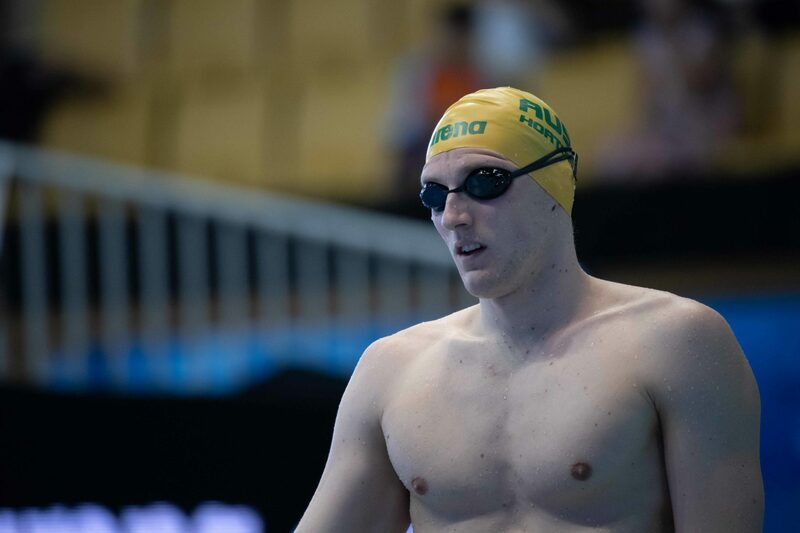 Horton collected a bronze later in the session as a member of the men’s 200m freestyle field, touching the wall in a very pedestrian 1:52.85. Horton took silver in this event at last year’s Commonwealth Games in a mark of 1:45.89. Winning the 200m free event tonight was Sim, who represented the only 200m freestyler to dip under the 1:50 barrier in 1:49.41. Cameron McEvoy, now of TSS Aquatics, split the pair by earning the 200m free silver in 1:50.63. The men’s 50m fly saw Sam Perry take the win in 24.38, while Nunawading’s 17-year-old Kayla Costa came out on top of the women’s 100m fly sprint in 1:00.90. Jessica Hansen doubled up on her solid 100m breast win from night 1 with a 200m breast victory this evening, clinching gold in 2:29.81. As this meet also incorporates the World Para Swimming World Series, there were several impressive races in that arena. As a reminder, all five events tonight were swum as multi-class races, meaning athletes from all classifications competed in the same event, with the Para-swimmer recording a time closest to their class world record crowned the winner. Ellie Cole (S9) stood atop the podium in the women’s 100m Backstroke Multi-Class, recording a time of 1:11.08. Of her performance in front of her home crowd, Cole stated, “I had my niece here tonight and I promised her I’d win gold, obviously it’s out of my hands, so she’s going to be really excited when I take it upstairs and put it around her neck – hopefully I’ve inspired a future Olympian here tonight, being my niece, no pressure!” Cole laughed. 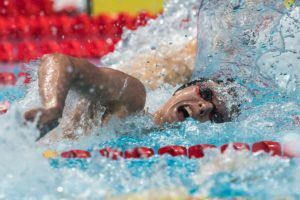 “Having the World Para Series here for the first time is really special, and I think it’s opened the eyes of many Victorians of what Para-swimming is about, which is why I love to swim. 21-year-old Jake Michel (SB14) won the men’s 100m breaststroke multi-class, earning gold in a time of 1:07.36. Tiffany Thomas Kane doubled up on her multi-class 50m breaststroke win last night with a 100m breaststroke victory this evening in 1:34.64. Sophie Pascoe world record in 50 free? Are they going to really let her be an S9? The heat sheet for final had her as s9 but the point total they gave her for her swim indicates they moved her back up to 10. It’d be great if we could get an article with the results of all the classifications that occurred at this comp. There seems to be, once again, alot of change. Do they post a list of the results sportygeek? I thought so too but 50free isn’t an S9 event any more and appears to have swam as S9 this morning, WR time in 50 fly?